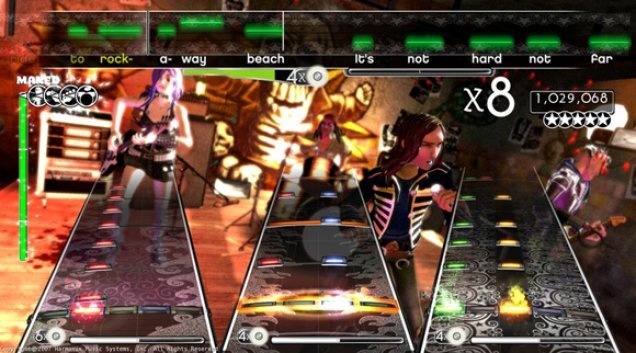 In Auguest 2009 Harmonix announced that it is opening thier Rock Band stores for artists and bands to create, upload and sell thier songs throught a new store called “The Rock Band Network” which will be included as part of the series of “Rock Band” games. We love Rock Band, and we love music, so us at Corbomite Games formed relationships with several Israeli rock bands and record labels in joint efforts to produce and sell songs through the “Rock Band Network”. So we opened up LehakatRock.com, a portal for our songs portfolio. Making songs for Rock Band is so much fun, especially since we’re a group of musicians and an avid Rock Band player. Combining our skills in creating and designed games and our musical talents gives us the best approach to creating the best arrangements adapting exising song into Rock Band gameplay. Lehakat Rock, which literally means Rock Band in Hebrew will become the leading portal for Israeli Rock Bands and artists to announce and promote thier bands and songs to the Rock Band gamer community and will include announcements and details about the bands and songs that are planned to be sold through the Rock Band Network. Songs expected to be available later this year when the Rock Band Network opens up.